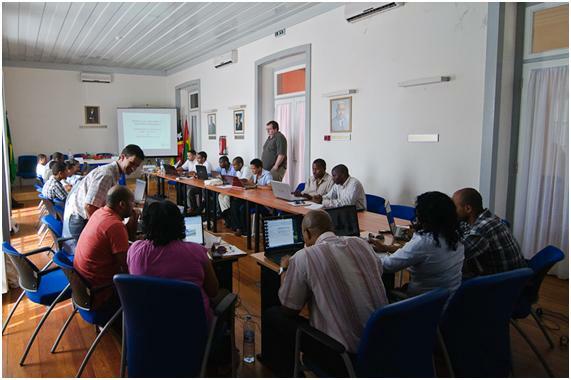 Workshop organized by 6DEPLOY in cooperation with ANAC, the National Telecommunications Authority of Cape Verde. Cape Verde is an archipelago located on the Western Coast of Africa, and its capital Praia is established on the Santiago Island. This IPv6 training was attended by 27 local professionals from 14 different organizations. According to feedback questionnaires received, the event was very successful. In order to achieve this, all the preparatory work was key: a correct choice of attendees (by ANAC), the provided training environment, and the training program customization (performed by the trainers) focused on local needs. A local testbed setup, composed by 9 virtual routers and a wireless LAN was built and used. Internet connectivity was kindly provided by CVT. For the second time, a 6DEPLOY Workshop was 100% based on the Portuguese language. The presentations were delivered in one of the country's official languages, and Hands-On Labs were also adapted to the available resources and Portuguese. 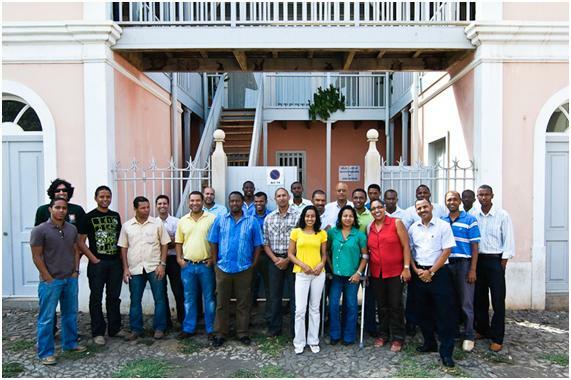 Jorge Brás (FCCN) and Carlos Friaças (FCCN) were the 6DEPLOY trainers in this Workshop. A report of the workshop can be found at: D1.18 Report from the 17th workshop. Abertura / Welcome Address & Presentation about 6DEPLOY (Portuguese). Introdução IPv6 / IPv6 Introduction (Portuguese). Hands-On Lab #01 Configuração IPv6 em Windows / Windows IPv6 Configuration (Portuguese). Hands-On Lab #02 Configuração IPv6 em Linux / Linux IPv6 Configuration (Portuguese). Hands-On Lab #03 Configuração de Routers #1 / Routers Config #1 (Portuguese). Hands-On Lab #04 Configuração de Routers #2 / Routers Config #2 (Portuguese). Hands-On Lab #05 DNS (Portuguese) (Portuguese). Hands-On Lab #06 Serviços: Apache e FTP / Services: Apache and FTP (Portuguese). Protocolos de Encaminhamento / Routing Protocols (Portuguese). Hands-On Lab #07 Segurança / Security (Portuguese). Encerramento / Closing Address (Portuguese).